With our phones becoming smart and connecting to the Internet for everything, data use has increased ten folds. Add to that all the Instagramming or Snapchatting and similar things and you can see how easy it is to burn through your limited available data plan. 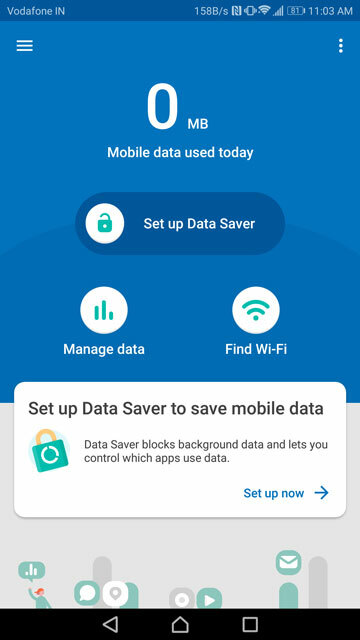 Android has had a built-in data saver for years and most OEMs include their own data-saving solutions on their phones too. 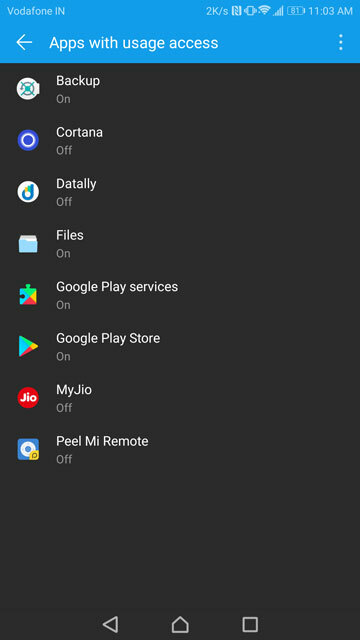 There also are many data saving apps on the Play Store. 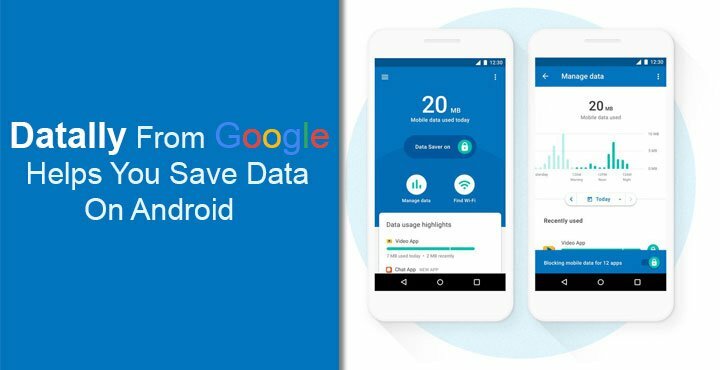 Google too has now introduced its own Data saving app called Datally. It’s a weird name, probably a combination of Data + Ally or Data + Tally. Both of them make sense for the app. The app aims to help you understand where most of your data is going and thus help you cut down the usage. Datally also provides you with ways to control data wastage. It’s a simple app with a stylish look that doesn’t do much else, and that’s a good thing. Previously we’ve seen Opera’s Data Saving app, Opera Max, which was actually great at saving data but it was just a bit too messy. Google’s version is very simple, but only time will tell whether it holds up to the efficiency of Opera Max. Once you have it installed, launch the app and it will ask for the necessary permissions. It needs permission to access your phone, SMS messages and your location too for some reason. Then, of course, it will need usage access to monitor the apps you’re using. Tap on OPEN USAGE ACCESS and it’ll redirect you to the respective Settings page. Here you can tap on Datally and then toggle on the service. At first, the app will have literally nothing for you. There’s not much for you to do right now other than turn the service on by tapping Set up now. 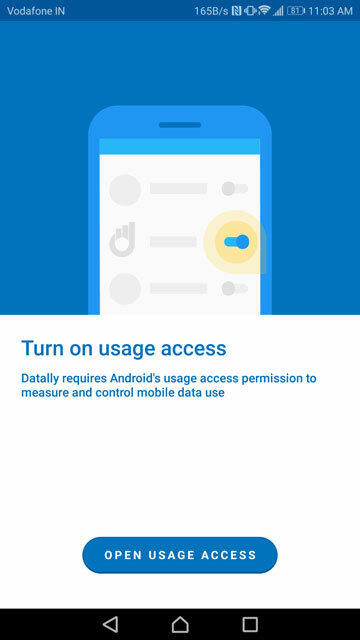 Over time though, as it collects information about your app usage and the data usage, Datally can become really useful. Datally will allow you to track your data usage in real time and also provide personalized recommendations on saving data. For now, it only seems to work over Mobile data even though it says you can save data on WiFi. I’ve used the app on WiFi for a while and made sure to use a lot of data. There’s just no way to tell whether its actually working while you’re connected to WiFi. It does pretend to. Most of these features won’t be that exciting to you if you’re using Android for a while now. The operating system has most of these features built-in already and there is no reason to believe now that Datally will perform better than the built-in data saver and monitor. The plus side is that the interface of the app is much prettier, simpler and overall just better. Moreover, instead of having to look for it in the Settings you can have a dedicated app in your app drawer or home screen. As a standalone app, it’ll also be much easier for people to find and remember to use. There are still a few things that the app lacks such as checking the balance left in your data plan. Google promises to make it available in an upcoming update. The update will also allow the app to actively warn you about data usage.